The CacheNET® 5000 series is a heavy duty, back office solution for the most cash intensive businesses. It provides seamless accounting between the POS and your bank with a comprehensive audit trail. 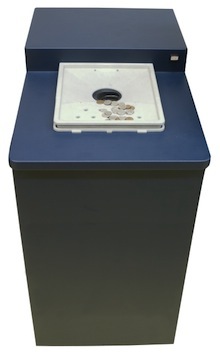 Count and validate funds: The CacheNET 5000 is equipped with Cummins' bill counting technology, allowing it to recognize 800 bills per minute with unsurpassed counterfeit detection. Counted funds are secured in high-capacity locking cassettes that store up to 5000 bills. Cash may be returned if the transaction is cancelled, and exposure is limited, reducing risk of theft and loss. Audit and report activity: Every transaction is recorded and tracked through each user's personal identification number (PIN) or optional swipe card, providing an audit trail of all activity. 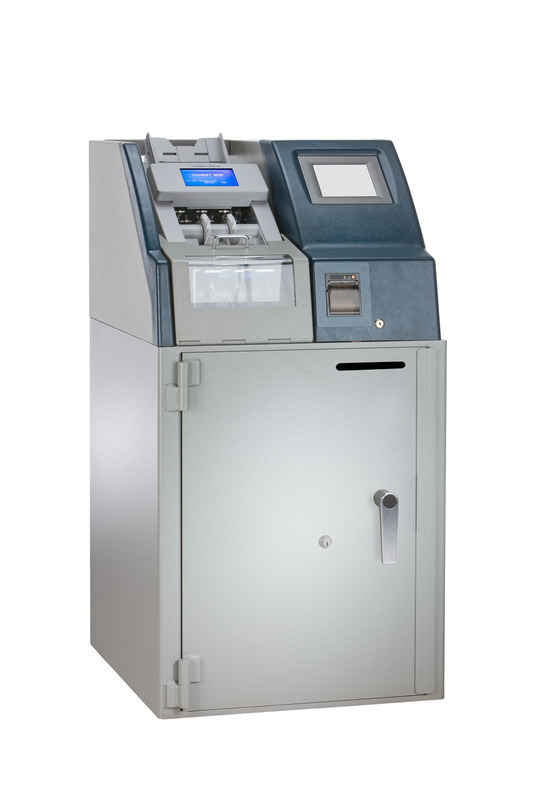 Cash is deposited through bill validators, and other media sales such as personal checks are recorded by the user and deposited into a secure envelope drop. Immediate verification reduces POS reconciliation errors and reduces time spent on bank deposit preparations. More than 30 different types of receipts and reports can be printed on the system's high-speed printer including end-of-day activity, cash removal and individual user reports.